PARENT(S) ON BEHALF OF STUDENT. Administrative Law Judge Sabrina Kong, Office of Administrative Hearings (OAH), State of California, heard this matter in Irvine, California, on September 17, 18, 19 and 20, 2013. Alefia Mithaiwala, attorney at law, represented the District. Jan Benner, program specialist, attended the hearing on all days on District’s behalf. Mark Miller, district director of special education, attended the hearing on all days, except September 20, 2013. Erica Hawkes, district coordinator, attended the hearing on September 20, 2013. Vanessa Jarvis and Amanda Selogie, attorneys at law, represented Student. Mother attended the hearing part of the first day. Father attended the hearing on all days, except the first day. District filed the Due Process Hearing and Mediation Request on August 20, 2013. At the hearing, the ALJ received sworn testimony and documentary evidence. At the close of the hearing on September 20, 2013, the ALJ granted the parties’ request for a continuance to file written closing arguments by 5:00 p.m. on October 4, 2013. The parties filed their written closing arguments on October 4, 2013, at which time the record was closed and the matter was submitted. Does the District’s offer contained in Student’s June 7, 2013 annual individualized education program (IEP) constitute a free appropriate public education (FAPE) in the least restrictive environment (LRE)? 1. Student is a six-year-old-boy who had been found eligible for special education since October 10, 2009. 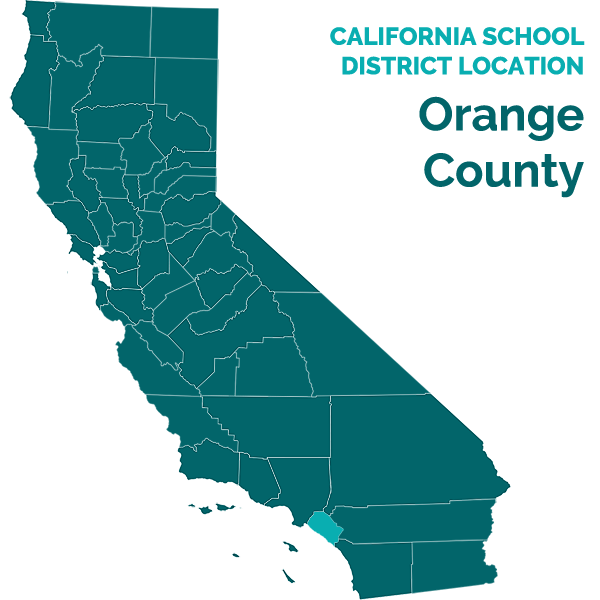 Student was found eligible for special education services under the category of autistic-like behaviors, and he has lived within the boundaries of the District at all relevant times. 2. Student had his triennial IEP team meeting on August 24, 2011 for the 2011-2012 school year, which was Student’s pre-kindergarten (pre-K) year. The IEP team also met on August 31, 2011 and on September 16, 2011. 3. District’s school psychologist, Jennifer Mobley, assessed Student on June 14, 2011 in preparation for his transition from pre-K into kindergarten. Ms. Mobley worked as a school psychologist since August 2002. She received an undergraduate degree in psychology from New Mexico State University and a master’s degree in school psychology from Trinity University. She is a licensed educational psychologist, a nationally certified school psychologist and she holds a California Pupil Personnel Services credential. 4. Ms. Mobley administered the Developmental Assessment of Young Children (DAYC) and Psycho-Educational Profile—Third Edition (PEP-3) together with two special education teachers who worked with Student at his pre-school. The DAYC and PEP-3 evaluated Student’s cognitive abilities. Other assessments and tests District performed included occupational therapy (OT), adapted physical therapy, vision, assistive technology (AT), speech and language (SL), adaptive behavior, pre-academic, behavior assessment, autism spectrum rating scale, social responsiveness scale, autism behavior checklist, and the Gilliam autism rating scale. Ms. Mobley also reviewed Student’s school records and medical update and observed Student in the classroom. 5. Ms. Mobley found that Student scored in the low range cognitively compared to same-age peers. Student achieved a standard score of 70 on the DAYC, which was consistent with Ms. Mobley’s PEP-3 observations. Student’s low score on the DAYC showed that Student’s style of learning required lots of repetition and rote acquisition of skills, prompts, and visual supports. The assessment also corroborated that Student’s rate of learning was slower than that of a typical child. The PEP-3 confirmed that Student’s autistic-like behaviors impacted his learning. Ms. Mobley observed that Student had difficulty responding to his name and simple requests, and that Student was unable to reference his peers. Ms. Mobley found these 2011 assessment findings correlated to Student’s previous 2009 assessment findings. The 2011 assessments supported that Student’s needs would have been best met in a moderate to severe special day class (M/S SDC). 6. Ms. Mobley was present at the September 16, 2011 IEP team meeting, where the team discussed that a general education environment would not be sufficient to meet Student’s needs because Student lacked the requisite skills to access general education such as the ability to learn in a group environment, sit and attend fifteen to twenty minutes in a group of fifteen to 33 pupils, tolerate proximity of a large number of peers, transition from multiple activities without disregulation, remain in and not elope from a classroom, process the language of instruction in order, make progress in the curriculum and learn and function with minimal adult prompting and decreased visual prompts. As a result, District offered specialized academic instruction (SAI) in an M/S SDC for 1760 minutes per week and mainstreaming during recess. District also offered individual SL services twice a week for 30 minutes each session with a non-public agency (NPA), individual SL services once a week in the M/S SDC for 40 minutes, 20 minutes per week of collaboration SL services with the school staff, adapted physical education (APE) twice a week for 30 minutes each session in a separate classroom, and AT services four times a week for 15 minutes each session in a separate classroom. 7. Parents disagreed with District’s placement offer and insisted that the proper environment for Student was the general education environment with one-to-one aide support. As a result of the disagreement, both the District and Student filed for due process against each other and the parties eventually settled. 8. On April 26, 2012, Parents and the District entered into a Settlement Agreement by which Parents agreed to enroll Student at Canyon View Elementary School (Canyon View) on or before May 11, 2012, consented to the goals, objectives and designated instruction and services (DIS) contained in the August 24, 2011 IEP, and waived all past educational claims as well as claims during the 2012-2013 school year against the District up to and including June 20, 2013. The Settlement Agreement required the District to convene two IEP meetings. The first meeting was to be held on or before October 19, 2012 to review Student’s progress with the possibility of revising Student’s goals. The second meeting was the annual IEP, to be held on or before June 7, 2013. 9. Placement and services under the Settlement Agreement consisted of 985 minutes per week of general education kindergarten with a one-to-one instructional assistant at Canyon View, and 505 minutes per week of the M/S self-contained autism specific class at Canyon View (SDC). This Settlement Agreement established Student’s stay put placement parameters and covered the District’s education obligations to Student through June 20, 2013. 10. At the October 15, 2012 IEP team meeting, Student’s significant maladaptive behaviors in general education were discussed. The team found that Student made no progress toward his goals and objectives, but had regressed and was demonstrating increased maladaptive and self-stimulatory behaviors since the end of the 2011-2012 school year. 11. When Student first enrolled at Canyon View in the Spring of 2012 in Beth Higgins’s general education kindergarten class, Student was able to do as he wished to acclimate to the general education environment. During this period, Student had no tantrums and exhibited no maladaptive behaviors because he had no academic demands placed on him. The curriculum was modified for Student when others in the class did work; Student was not required to do classwork during the acclimation period if he did not want to. 12. Ms. Higgins has been a general education teacher for 32 years, with 25 of those years spent teaching kindergarten. She had taught special education students in her classrooms most years, including children with autism, Down syndrome, and SL needs. She received her undergraduate degree in early childhood education from Seton Hill College, her master’s degree in elementary education from California State University in Los Angeles, and was District’s 2008 elementary school teacher of the year. 13. At the October 15, 2012 IEP meeting, Ms. Higgins shared that when Student returned to the general education class in the fall of 2012, Student was unable to keep up with his peers or the pace of general education, and was unable to access the general education curriculum. He appeared to be over stimulated, engaged in self-stimulatory behaviors, required constant redirection, spoke little, had difficulty engaging adults and other children, and had frequent tantrums, at times, multiple tantrums per day. The tantrums lasted from two to forty minutes. Ms. Higgins had to stop her lesson each time Student tantrumed to attend to Student and help his one-to-one aide, Carla Ledbetter, calm Student. Ms. Higgins found that whenever Student was presented with a non-preferred activity, usually an academically related activity, Student tantrumed. For example, when presented with a pencil and paper activity, Student grabbed and crumbled the paper, threw the pencils, kicked off his shoes, threw himself on the floor, kicked indiscriminately at all things/people in his vicinity, pushed away from the desk, stiffened his body, screamed and yelled very loudly, and ultimately refused to comply. Ms. Higgins saw that the other children were afraid of Student and that some cried and covered their ears when Student was having a tantrum. Ms. Higgins taught all the children in the class to remove themselves from harm and walk away when Student tantrumed. Ms. Higgins estimated that out of the 200 instructional minutes in the general education class, Student was able to participate for approximately 15 minutes. She observed no difference in Student’s maladaptive behaviors when he was with the entire general education class of 32, or when he was with a group of 16 when the class was divided in half. Further, Student was unable to function independently and required his one-to-one aide, Ms. Ledbetter, to motor him through every task. These difficulties continued throughout the 2012-2013 school year. 14. Jennifer Roth, Student’s M/S SDC teacher, received her undergraduate degree from the University of Southern Maine, and had a general education multiple subject credential with CLAD, and a Level II special education credential for M/S. She also had a master’s degree in applied behavioral analysis (ABA) from California State University in Dominguez Hills. She had been teaching general education and special education since 1994 and 1996, respectively. She had taught an autism specific class for nearly 17 years, and taught a mild/moderate (M/M) class of children with multiple disabilities, including autism, for approximately three years. Student attended her M/S SDC and expressed a preference for her class over general education. Later in the 2012-2013 school year, Student’s tantrum and maladaptive behaviors decreased in the more structured environment of the M/S SDC, which enabled him to learn. 15. Pamela Lewis, Student’s speech therapist, had been the District’s SL pathologist since 2011 and had her private practice, HB Speech and Language, since 1998. She has worked with Student in a one-to-one setting since September 2012. At the IEP meeting, Ms. Lewis described Student as generally compliant with tantrums and self-stimulatory behaviors occurring infrequently within the one-to-one setting. 16. Ms. Higgins, Ms. Roth, Ms. Lewis, Ms. Mobley, and Ms. Benner all shared their observations with Parents at the October 15, 2012 IEP team meeting. They recommended amending the Settlement Agreement to include a one month trial of primary placement in the M/S SDC, with 80 minutes of general education, to see if Student could progress and to explore and address the triggers for Student’s maladaptive behaviors (the October Proposal). Parents expressed that Student needed more time to adapt to the general education class, and that at home Student’s tantrums lasted no more than five minutes. They instructed the teachers to ignore Student’s tantrums. Parents believed that general education was the proper placement for Student, rejected the IEP team’s recommendations, and declined the October Proposal in writing on October 16, 2012. 17. A FAA became necessary after the IEP team found that instructional/behavioral approaches specified in the Student’s IEP were ineffective in the general education setting. The IEP team wanted to formulate a behavior intervention plan (BIP) from conducting a FAA. On January 28, 2013, District requested parental consent to a FAA to address Student’s maladaptive behaviors in the general education setting. Parents did not consent to the FAA until June 12, 2013, two weeks before the end of the 2012-2013 school year, because Parents wanted to wait until the Settlement Agreement term ended. This delay prevented the District from conducting the FAA during the 2012-2013 school year. 18. Ms. Benner, Ms. Mobley, and Dr. Kemp, Canyon View’s principal, were aware that on January 18, 2013, Father requested an IEP team meeting through his attorney to discuss communication protocols. Ms. Benner stated that she discussed Father’s request with Ms. Mobley who agreed that another IEP team meeting was not needed because Ms. Roth had been communicating with Parents by sending communication logs home at least three times weekly, and communication protocols could be addressed through parent/teacher conferences. Ms. Mobley believed that the request for a communication protocol meeting was prompted when Ms. Roth told Mother she was unable to speak with Mother in the mornings when children were arriving and this upset Mother. Ms. Benner, Ms. Mobley, and Dr. Kemp all agreed that nothing had changed since the IEP team met in October 2012 and made the October Proposal which Parents rejected. Therefore, on January 28, 2013, District responded to Father’s attorney, stating that Parent could address communication protocols by parent/teacher conference, and requested parental consent to an assessment plan for the District to conduct a FAA to fully address Student’s behaviors. On March 4, 2013, Father again requested an IEP meeting to address communication protocols. On March 6, 2013, the District again responded by asking Father to address communication protocols in a parent/teacher conference. Neither Ms. Benner, nor Dr. Kemp believed the District had to hold an IEP team meeting, other than the two that had been specified under the terms of the Settlement Agreement. However, Ms. Benner stated that District would have held one to discuss the FAA if one were requested from Parents for that purpose. Since the only IEP meeting that Parents requested was to address communication protocols, the District declined to hold an IEP meeting for that purpose because communication protocols could adequately be addressed through parent/teacher conferences. District also declined to hold an IEP communication protocol meeting because such an IEP meeting was not specified in the Settlement Agreement. A parent/teacher conference was held sometime in the Spring of 2013 during which Father met with Ms. Roth and Ms. Higgins, and they both invited him to observe Student in the general education class and the M/S SDC. 19. In accordance with the terms of the Settlement Agreement, the District convened the annual IEP meeting on June 7, 2013. District provided written notice to Parents of the IEP meeting on April 11, 2013. Prior to the IEP team meeting, District provided Parents copies of Student’s May 31, 2013 progress reports with proposed goals, in preparation for discussion. At the beginning of the meeting, Parents were provided with a notice of procedural safeguards. Parents attended with their attorney, Ms. Selogie. Laura Biggerstaff, Student’s APE teacher, Ms. Higgins, Ms. Roth, Ms. Lewis, Ms. Mobley, Ms. Benner, and Dr. Kemp attended the IEP team meeting with District’s attorney, Ms. Mithaiwala. 20. At the IEP team meeting, all observations, recommendations, including services and placement, and Student’s present levels of performance (PLOPS) were discussed and explained by the personnel who were involved in rendering services to Student. Student’s progress on all prior goals were discussed and Parents’ input, either directly, or through their attorney, was included in the PLOPS and reflected in the IEP team meeting notes. Parents, either directly or through their attorney, fully participated in the IEP team discussions, including stating that they did not feel that any additional goals needed to be developed and expressing their disagreement with the proposed placement. 21. The IEP team developed the following measureable goals, all of which contained short term objectives and were based on Student’s PLOPS and achievement level on prior goals: (1) pre-vocational—use of visual schedule for transitions independently, five out of ten opportunities without maladaptive behaviors; (2) behavioral/social emotional—independently indicate needs verbally with use of visual prompts before getting upset eight out of ten opportunities for three consecutive days; (3) social emotional—sustaining attention to the academic activity in a structured learning environment for ten minutes without maladaptive behaviors eight out of ten opportunities for three consecutive days; (4) language arts (listening and speaking)—following one and two-step directions to grade level tasks eight out of ten opportunities for three consecutive days; (5) language arts—reading fluency of grade level text at a rate of 30 correct words per minutes on three consecutive trials; (6) language arts—reading comprehension of grade level text and ability to independently answer three questions when prompted with 80 percent accuracy for three consecutive days; (7) language arts—writing a complete sentence with upper case letter and ending with a period with one teacher verbal or visual prompt when given a word list of 20 previously mastered words, and a picture clue or topic for three consecutive writing assignments; (8) math (counting and cardinality)—when given a math worksheet with ten problems, the correct answer for the terms equal and not equal will be marked with 80 percent accuracy in three consecutive trials; (9) math (understanding of more, fewer, more than, less than, greater, and smaller)— when given a math worksheet with ten problems, the correct answer will be marked with 80 percent accuracy in three consecutive trials; (10) math (operations and algebraic thinking)—when given a math worksheet with both addition and subtraction problems, the correct answer will be marked with 80 percent accuracy for three consecutive worksheets; (11) social language (pragmatics)—independently use an appropriate social greeting to four adults and two peers on six out of eight opportunities over three trial days; (12) social language/play skills—improve constructive play by carrying out a minimum of three pretend activities on six different replica toys with an adult over three trial days; (13) pragmatics/social engagement play for five minutes with a peer and take at least one conversational turn with that peer with no more than one prompt on four out of five trial days; (14) expressive language—sequential order description used in response to pictured stimuli with 60 percent accuracy using correct utterances over three trial days; (15) receptive language (exclusion and Gestalt processing)—remove one item that does not belong when presented with a group of four items with 80 percent accuracy over three trial days; (16) APE (locomotor and bilateral coordination)—independently hop on one foot three consecutive times on four out of five attempts for three consecutive classes; and (17) APE (eye-hand coordination)—throw a small ball or beanbag using a correct one hand overhand throwing pattern hitting the target on four out of five opportunities for three consecutive days. 22. The IEP team discussed the differences between Student’s behavior and his ability to learn across the special education and general education settings. Ms. Higgins emphasized that Student had significant difficulties learning in a large group and in her general education class, and that Student was only able to participate about 20 percent of the time in the general education class. The IEP team also discussed Student’s disruptive tantrums throughout the 2012-2013 school year, including Mother’s observations of Student’s tantrums and maladaptive behaviors in general education. 23. While Parents agreed that Student had difficulty interacting with peers at school, they had not observed Student with the same maladaptive behaviors as those described by the school personnel at home or at family outings. Parents shared that at home Student was able to do homework, responded well to positive reinforcements, and had shown improvements in social interactions with Parents and sister. 24. At the June 7, 2013 IEP team meeting, District offered Student placement for the 2013-2014 school year at Canyon View with SAI in an M/S SDC and mainstreaming with typically developing peers for music, art, snack, lunch, recess, and assemblies. The M/S SDC would have eight or nine children, and would be staffed with a teacher and three instructional assistants. Student would be part of the friendship club, a reverse mainstreaming group, where typical peers would be brought into the M/S SDC during snack recess and lunch recess for social interaction and where Student would have a choice of games and play equipment. Music would be every other week with typical peers and an instructional assistant for redirection and prompting when necessary. Art would be six times yearly, and would be with typical peers in a general education class. Student, along with his M/S SDC would participate in assemblies with typical peers. Music and art were Student’s preferred activities, where few maladaptive behaviors were observed during the 2012-2013 school year. The IEP team agreed that this small group instructional setting would provide Student an opportunity to grow socially, emotionally and academically and would allow him to progress. 25. At the June 7, 2013 IEP team meeting, District also offered the following related services: (1) individual SL therapy two times weekly for 30 minutes each session; (2) consultation SL services in the M/S SDC once a week for 20 minutes; (3) group SL therapy two times weekly for 20 minutes each session; (4) APE in a group two times weekly for 30 minutes each session; and (5) extended school year (ESY) for the summer of 2013 in an M/S SDC with 820 minutes per week of SAI, one 30 minute session each of APE and individual SL therapy, one 20 minute session of group SL therapy, and one ten minute session of SL consultation services. The following accommodations and modifications were also offered to assist Student in accessing the curriculum: (1) Student would not receive a grade and would be in a 1:1 setting, with small group instruction and structured teaching with positive behavior management system. He would be provided with larger print to help legibility, and smaller periods of work to address behavior. (2) Student would participate in an alternate assessment for the California English Language Development Test. The IEP team also proposed that District perform an OT assessment. 26. Parents consented to all goals and short-term objectives, all accommodations and ESY for the summer of 2013, but did not consent to all services and placement in the M/S SDC during the 2013-2014 school year. Parents believed that Student should be placed in a general education class with one-to-one aide support for the 2013-2014 school year. 27. Ms. Higgins concluded that Student did not make any academic progress during the 2012-2013 school year in her general education class. Of the California common core standards (CCS) for kindergarten, 21 of those were in math and 41 were in English and language arts (ELA). The majority of the typical students in Ms. Higgins’s 2012-2013 class met approximately 90% of those CCS. Student met approximately four out of the 41 ELA CCS and two or three out of the 21 math CCS. Ms. Higgins also concluded that Student received no social benefit from placement in general education. Student did not show any interest in his peers, did not know their names, was unable to imitate his peers’ behaviors, was unable to pick up or use social clues and cues, and any conversation with his peers was through significant intervention by Ms. Ledbetter, his one-to-one aide. Often when peers were brought to sit with Student, Student chose to face the wall, and when the peers left, Student showed no interest in their departure. Ms. Higgins was concerned that Student would not meet CCS and his IEP goals in the first grade if he continued in the general education setting because first grade would be more challenging, faster paced, and involved more transitions in a longer school day. Ms. Higgins stated that any progress Student made in the 2012-2013 school year was made in Ms. Roth’s M/S SDC, and not in her general education class. Ms. Higgins explained that Students’ tantrums, which were consistent throughout the 2012-2013 school year, were big, and disruptive to the other students. In particular, other children in the class were afraid of Student when he tantrumed. 28. Ms. Roth described Student as a sweet, moderately to severely autistic boy with demonstrated ability to learn. In her experience, Student learned best in a structured environment, but struggled significantly in a non-structured environment. She believed since September 2012 that a general education class was not the proper placement for Student. At the beginning of the 2012-2013 school year, Student tantrumed and had maladaptive behaviors in both her M/S SDC and Ms. Higgins’s general education class. Eventually, the tantrums and maladaptive behaviors faded in the M/S SDC, but continued in general education. In consideration for Parents’ preference for a general education placement, the IEP team suggested the October Proposal to see if Student could be more successful in the structured environment of the M/S SDC, with an understanding that if Student became more successful, his time in general education would be slowly increased. However, Parents rejected the October Proposal and therefore Student had to remain in the placement specified in the Settlement Agreement until the end of the 2012-2013 school year. Ms. Roth did not agree with Parents’ belief as expressed in their October 16, 2012 written rejection to the October Proposal that Student was making progress on goals while in general education. 29. Ms. Roth sent a communication log home at least three times per week starting September 26, 2012 through May 31, 2013, summarizing Student’s difficulties and triumphs for Parents’ information. Ms. Roth invited Parents to respond with suggestions and/or comments. The communication log provided a space for Parents to initial, to demonstrate they had read the communication log. Mother had responded with comments up until October 9, 2013. Thereafter, Parents had no comments and did not initial to indicate that the communication logs had been read because Parents were told not to do so by their attorney. 30. To chart Student’s maladaptive behaviors, Ms. Roth, Ms. Ledbetter and Ms. Higgins recorded the frequency of Student’s tantrums and interruptions in the general education class. The data recorded whether Student kicked, screamed, threw things, ripped papers, hit peers, engaged in verbal self-stimulation, shouted, etc., the duration of the tantrums, and the time they occurred. This data was recorded to see if there were any correlations as to when they occurred and/or the cause of such behaviors. For example, on October 2, 2012, the data showed that Student had to be removed from the general education class. On October 2, 2012, the data showed that Student had tantrumed for approximately three and a half hours, from 10:25 a.m. to 1:45 p.m. and on October 8, 2012, the data noted Student had a “good day.” Ms. Roth stated that she stopped charting the tantrums and interruptions after January 23, 2013 because she did not believe Parents valued the data which showed that Student was experiencing many difficulties, was not learning, and was very disruptive in the general education class. 32. In the 2012-2013 school year, Student was unable to meet most of his IEP goals in the general education class. Student was only able to meet the receptive language goal of recalling objects named in the M/S SDC in a one-to-one language arts setting. He did not meet his emotional regulation goal of indicating his feelings or needs during a non-preferred activity. However, he was able to do so 50 percent of the time in the M/S SDC, as compared to 20 percent of the time in the general education class. He met the goal of waiting two minutes for an instruction to be presented without grabbing materials, but continued to engage in self-stimulatory behavior such as finger flicking, tantruming, and tapping. He was capable of being redirected in the M/S SDC, but not in the general education class. He did not meet the taking turns with a peer/sharing social goal, and required complete adult support to engage in all play activities. He met the group instruction/imitation goal only in the M/S SDC where he stayed in circle time for 30-40 minutes. He continued to tantrum in the general education class to avoid a group activity. He only met his sustained attention goal of not engaging in maladaptive behaviors for five minutes in the M/S SDC when provided with necessary sensory strategies and positive reinforcement. His progress on this goal significantly regressed when he was in the general education class. He met his math goal of adding up to 10 and subtracting from 10 in the M/S SDC with one-to-one support and instruction, but not in the general education class. Student only partially met the conversation with adult in the presence of a peer goal in the M/S SDC. The only goal Student met in both the M/S SDC and general education class was the ability to generate three word utterances. 33. Ms. Roth agreed with the IEP team that Student was distressed and anxious most of the day, especially in the general education class. In particular, when Student was not engaged, he had a high frequency of maladaptive behaviors, such as screaming, tantruming, kicking, crying, and scratching himself and other responses that impeded his ability to learn. She found Student to be the calmest in the M/S SDC. Ms. Roth reported that Student was significantly behind his typical peers in his writing skills. In math, Student could only add and subtract with prompting, but could only do so if the entire worksheet consisted of addition or subtraction. He was unable to discriminate between the two processes when they were mixed in a worksheet. Further, Student did not understand the concept of greater than and less than. She also noted that Student was incapable of engaging in interactive play and reciprocation with peers, but tolerated parallel play. She found that Student was isolated in the general education class because he was totally dependent on one-to-one prompting. For example, Student’s aide, Ms. Ledbetter, was not serving as a shadow to re-direct Student, but instead taught Student separately, on Student’s own schedule, with Student’s own curriculum with modified work because Student was unable to independently complete any task in the general education class. When asked to go sit down, Student required additional verbal prompting, then visual prompting, and then physical guiding/prompting to sit. One of Student’s tantrums occurred because sitting down was a non-preferred activity at the moment. While Student regressed verbally in the general education class, Ms. Roth found that Student did not regress verbally in the structured, small group environment with visual supports in the M/S SDC. She reported that AT was not offered to Student in the 2013-2014 school year because he was uninterested in AT, and instead showed interest in using language. Student was verbal in the M/S SDC during the 2012-2013 school year, rendering AT unnecessary in that placement. 34. Ms. Roth shared that Dr. Kemp, Ms. Mobley Ms. Lewis and an outside behavioral specialist had all assisted in developing behavioral strategies to reduce Student’s maladaptive behaviors. Ms. Roth did not believe a behavioral tutor could have offered anything different from the existing strategies which had been incorporated with success to reduce Student’s tantrums and maladaptive behaviors in the M/S SDC, but which were unsuccessful in the general education class because the general education class was too stressful for Student. No behavioral strategies would be helpful for Student in the general education class because the source of his behaviors was the stress brought on by the general education class. 35. Ms. Roth stated that even a mild moderate (M/M) SDC would be inappropriate for Student because the amount of prompting he needed was much more than that needed for individuals in a M/M SDC. Even in her M/S SDC, Student was the pupil who had the least ability to function independently. Based on her observations of Student and experience, Ms. Roth agreed with the IEP team that a general education placement would be inappropriate for Student in the 2013-2014 school year. 36. Ms. Lewis, Student’s SLP, worked with Student once a week for 40 minutes and provided collaborative services for 20 minutes per week during the 2012-2013 school year pursuant to the terms of the Settlement Agreement. Student was able to achieve his two language goals of conversation with an adult (but not in the presence of a peer since it was a one-to-one session with Student) and generating a sentence, as stated in the May 31, 2013 progress reports. Ms. Lewis concluded that Student could be attentive, progress, and learn in a structured, small group environment, but was not available for learning in a large group. 37. Student only tantrumed twice during speech therapy with Ms. Lewis during the 2012-2013 school year, in October 2012 and in June 2013. The October 2012 incident lasted five minutes and occurred when Student was transitioning, but calmed when he was alone with her in her room. The June 2013 incident lasted 15 minutes, but she calmed him by singing, and using language to work through the tantrum followed by a reduction in tasks during the remainder of the session. Ms. Lewis stated it was unusual for Student to tantrum with her because usually no antecedent or triggering behavior appeared in that one-to-one setting. 38. Ms. Lewis was asked to observe Student in the general education class to consult with Ms. Higgins and Ms. Roth as to behavioral strategies for Student. Ms. Lewis modeled behavioral strategies for Ms. Lebetter, and saw Ms. Ledbetter implement those strategies in the general education class without success. Ms. Lewis observed that Student was difficult to calm in the general education class. The same behavioral strategies which worked in calming Student in the one-to-one environment with Ms. Lewis did not work in the general education class, and Student needed to be removed from the general education class before those strategies could be implemented. Ms. Lewis concluded that the behavioral strategies did not work because Ms. Ledbetter became a trigger for the general education class. The general education class was an environment which Student found uncomfortable, and Student associated Ms. Ledbetter with the discomfort of the general education class. 39. Ms. Lewis was responsible for drafting and implementing the social language pragmatics, play skills, social engagement with a peer, and expressive and receptive language goals in the June 7, 2013 IEP. She shared with Parents at the June 7, 2013 IEP team meeting that Student had not learned to greet, initiate, engage or socially reference his peers, appeared uncomfortable and/or over-stimulated by the presence of peers, and engaged in tantrumming, fleeing or other self-stimulatory behaviors when encouraged to interact in a small group. Parents disagreed with Ms. Lewis at the June 7, 2013 IEP team meeting, and insisted that Student significantly improved at home, interacted well with his sister and exhibited no maladaptive behaviors in public family outings. Ms. Lewis did not believe AT would be beneficial to Student because he was verbal and did not rely on AT to express himself. 40. Ms. Lewis’ one-to-one sessions with Student were very diagnostic in nature. She took detailed notes and data, reviewed the reports generated by the NPA who provided Student SL services before her involvement with Student, and had reviewed the assessments from the August 24, 2011 IEP team meetings. Ms. Lewis was very familiar with Student’s abilities and current levels from working with him. Therefore, she did not believe she would have benefitted from any other updated or formal assessment of Student. She found the June 7, 2013 IEP very thorough and did not believe Student could benefit from any other SL services other than those offered in the June 7, 2013 IEP. She agreed with the June 7, 2013 IEP offer for the 2013-2014 school year because Student required a structured, small group setting and a reduction in stimulation in order to progress. 41. Ms. Biggerstaff was the District’s APE teacher for kindergarten to sixth grade since 1998. Prior to working at District, she was the APE teacher for Colusa County from 1994 to 1998. She received a bachelor’s degree and her teaching credential in physical education (PE) and APE from California State University in Chico. She received a professional clear single subject credential in PE and a California Teachers of English Learners (CTEL) 1, 2 and 3 credentials. 42. Ms. Biggerstaff stated that Student met two out of the three APE goals in the May 31, 2013 progress report. She reported that Student could kick and throw, could not hop, but could skip and was working on hopping. She wrote the two APE goals for Student presented at the June 7, 2013 IEP and agreed with the offer made to Student for the 2013-2014 school year at the June 7, 2013 IEP team meeting. 43. Ms. Biggerstaff observed that Student had been calm, happy and cooperative in her small APE class of four children, including Student, and that Student only tantrumed twice with her in the 2012-2013 school year. On one occasion, Student tantrumed the whole session and was unable to be calmed or participate in the entire class when the general education class joined him in PE because of a minimum day schedule. The other tantrum occurred when two adults and an additional child were present in the APE class. On that occasion, Ms. Biggerstaff was able to calm Student by distracting him, holding his hand, having him do an obstacle course and having him choose a preferred activity. Based on her observations of Student’s tantrums in the presence of a large group and how disruptive they had been, as compared to Student’s behaviors in her small APE class, Ms. Biggerstaff concluded that Student did better in a smaller and structured environment. 44. Ms. Mobley, the school psychologist, did not believe that a general education class was the proper placement for Student and so informed the Parents both at the October 15, 2012 and June 7, 2013 IEP team meetings. The October Proposal was made by the IEP team to accommodate Parents’ desire to have Student in the general education class. However, based on her 2011 assessments and her observations of Student throughout the 2012-2013 school year, she concluded that an appropriate placement for Student had always been the M/S SDC. She did not agree with Parents’ belief that Student was making progress on goals as expressed in their October 16, 2012 written rejection of the October Proposal. She did not believe a M/M SDC would be appropriate for Student because that class used more language and children there functioned with little aide support and less structure. For example, the M/M SDC had 16 children, one teacher and two instructional aides. The M/S SDC had approximately eight to nine children, one teacher and three instructional aides. She also did not believe that an updated formal assessment was needed to conclude that a M/S SDC was the proper placement offer for Student because Student had his triennial assessments in 2011, the District’s offer of placement was the same offer as that in the August 24, 2011 IEP team meeting, and the observations and data recorded by various teachers and aides throughout the 2012-2013 school year provided sufficient information to make an appropriate offer. Further, when the IEP team believed conducting a FAA was helpful and requested parental consent on January 28, 2013, it was not granted by Parents until the end of the 2013 school year. 45. Ms. Mobley had observed Student a few times in the general education class toward the end of the 2012-2013 school year and found him not participating or paying attention, and described him as having little regard for his peers, adults and the ongoing activities. She also witnessed Ms. Ledbetter’s unsuccessful attempts to redirect Student’s attention to Ms. Higgins. Conversely, in the M/S SDC, Ms. Mobley observed Student working, paying more attention, appearing calmer and soliciting feedback or verbal praise from an aide by looking at her and asking “[Student] good boy?” Ms. Mobley stated that the same behavioral strategies were incorporated in both the general education class and M/S SDC, but they worked in the M/S SDC and not the general education class because the M/S SDC proceeded at a slower pace, had fewer children and distractions, had more supports to redirect Student’s attention, and was generally less overwhelming for Student. 46. Ms. Mobley agreed with the June 7, 2013 offer because Student demonstrated the ability to use more language, stay on task and attend longer, and he had fewer maladaptive behaviors in the M/S SDC. Therefore, in Ms. Mobley’s opinion, that small and structured environment would be the most appropriate for Student to learn and access the curriculum. 47. Dr. Susan Kemp, the principal at Canyon View, received her undergraduate degree in psychology from University of California, Los Angeles. She received a master’s degree in educational administration from National University, was trained in ABA, and had been in education for 22 years. She also possessed a multiple subject teaching credential, a professional administrative services credential, and a doctorate degree in educational administration from the University of California, Irvine. 48. Dr. Kemp observed Student two to three times a week in the general education class, and most of the time she went into Ms. Higgins’s general education class to provide sensory ideas for calming Student upon hearing loud sounds of distress when Student was tantruming. Dr. Kemp also observed Student in Ms. Roth’s M/S SDC once a week when Dr. Kemp did her rounds to observe special education classes. She never went into Ms. Roth’s class to calm Student, because Student tantrumed less in Ms. Roth’s M/S SDC. She found that Student tantrumed when he became over-stimulated, which usually occurred in an environment with a large number of students. He also tantrumed when demands were placed on him that he could not handle. 49. Dr. Kemp stated that Ms. Ledbetter did not attend the IEP because it was not the District’s custom and practice to have aides at IEP team meetings, however, Ms. Ledbetter provided information to the classroom teachers to share at the IEP team meeting. She also stated that while Parents could have done so, they did not invite Ms. Ledbetter to the IEP team meeting. 50. At the June 7, 2013 IEP team meeting, Dr. Kemp shared that Student tantrumed less and engaged in more activities in the M/S SDC, and stated that in the general education class, Student did not attend, appeared to gaze into space, did not acknowledge or interact with peers, and engaged in self-stimulatory behaviors. She also informed Parents that Student’s tantrums in the general education class were lengthy, sometimes lasting 45 minutes. They were very loud, and involved swatting and kicking, which sometimes resulted in harm to his peers, who subsequently became afraid of him. Dr. Kemp stated that Parents expressed their primary concern at the June 7, 2013 IEP as Student’s social skills and behavior, and that while Parents agreed that Student had difficulty with peer interactions at school, they reported that Student interacted well at home with Parents and his sister. Goals, objectives, and PLOPS were reviewed at the IEP with Parents asking questions and providing input to the accommodations discussed. Dr. Kemp agreed with the District’s offer at the June 7, 2013 IEP. 51. Ms. Benner, the District program specialist who was in charge of overseeing autism specific classrooms from pre-school through sixth grade, had been in her current position since 2000. She had previously been the District’s speech pathologist from 1990 until 2000. She received her undergraduate degree in speech and hearing and a master’s degree in speech pathology, both from San Diego State University. She had 28 years’ experience in education and possessed Tier I and II Administrative Credentials. 52. Ms. Benner had reviewed the Settlement Agreement, and had attended the October 15, 2012 and June 7, 2013 IEP team meetings. Based on her experience, she agreed with the October Proposal, and was aware that Parents had rejected it in a written letter. Ms. Benner stated that Father never observed Student in either setting in the 2012-2013 school year, but Mother did and saw Student’s big tantrums. She agreed with the June 7, 2013 offer to Student because the M/S SDC was the appropriate environment to address Student’s behavioral and academic needs. 53. Ms. Ledbetter, Student’s one-to-one aide, had been an instructional assistant with District since April 2012. She received two eight-hour days of basic and ABA training from the District as well as on the job ABA training by Ms. Roth. Ms. Ledbetter stated that whenever Student tantrumed, Ms. Roth came to her assistance. Ms. Ledbetter saw Dr. Kemp, Ms. Roth, and Ms. Lewis use ABA techniques to deal with Student’s maladaptive behaviors. Further, an outside behavioral specialist also provided strategies for Ms. Ledbetter to use with Student. 54. Ms. Ledbetter stated that the general education class was too fast paced for Student and when Ms. Higgins transitioned between activities, Student tantrumed, kicked, screamed, tore papers and broke crayons to avoid doing work that was difficult for him. She also shared that Student was unable to perform any work independently in the general education class because the work was too difficult. Student refused to perform academic work while in the general education setting, and when he was requested to perform academic work, he had a tantrum. At the beginning of the 2012-2013 school year, Student received the same assignments as his general education class peer without modification. However, later on in the year, Ms. Ledbetter modified the assignments for Student. Modifications included enlarging worksheets and allowing Student to trace work. Even when the general education assignments were modified, the quantity and magnitude of Student’s tantrums did not diminish. Further, Student usually walked away or tantrumed when Ms. Ledbetter tried to get him to interact with his peers in the general education class. At recess and lunch, Student sometimes interacted with peers when she facilitated the interaction, but he never interacted with peers independently. Ms. Ledbetter handled Student’s tantrums by asking Student what he wanted, and if the tantrum continued, moved Student outside or to another room and gave Student what he wanted after the tantrum stopped. Ms. Ledbetter classified Student’s tantrums as severe and did not believe Student received any academic or social benefit from being in the general education class. 55. Ms. Ledbetter observed that Student’s typical peers were afraid of him, and they cried and ran away when Student tantrumed. During teacher appreciation week, one child wrote a thank you note to Ms. Ledbetter thanking her for keeping the children safe from Student. Ms. Ledbetter saw Mother volunteer three times in the general education class to help with filing, games and coloring and stated that Mother also witnessed Student’s tantrums but did not speak to Ms. Ledbetter about them because the teachers, and not the aides, spoke with Parents. 56. As an instructional aide, Ms. Ledbetter did not attend IEP team meetings and did not have access to the IEP documents. At all times, Ms. Ledbetter was supervised by Ms. Roth, who instructed her regarding what to do in the classroom. Ms. Ledbetter’s observations and charted data of Student’s behavior were provided to Ms. Higgins, Ms. Roth and Ms. Lewis to share with the IEP team. 57. Father attended the June 7, 2013 IEP team meeting, did not attend the August 24, 2011 IEP team meeting, and was unsure whether he attended the October 15, 2012 IEP team meeting, but believed he did. He objected to the August 24, 2011 IEP placement offer in the M/S SDC, but was in agreement to the placement of general education class and M/S SDC specified in the Settlement Agreement. He did not consent to the October Proposal because he believed that Student was progressing and did not need to change classroom placements to improve. He disagreed with the June 7, 2013 IEP team placement offer of the M/S SDC and services. He understood that the District sought consent for the FAA, but Parents wanted to wait until the Settlement Agreement period ended in June 2013 before consenting. Parents consented to ESY for the summer of 2013, but did not bring Student to school, because they changed their minds and believed Student needed a break. 58. Father believed that Student was capable of learning math and reading in the general education setting, but required the special education setting to learn writing skills. He expressed that the District should identify Student’s educational needs through assessments, but did not recall whether Student was assessed. Father based his belief that Student should be in the general education setting on his own experiences with his typically developed daughter, and conversations with other parents, with Ms. Evelyn Schneider (Student’s pre-K teacher), and with Student’s doctor. Father referred to these sources as “research and professionals consulted,” but stated that he did not show Student’s IEP documents to these individuals and did not know whether they had received any training in dealing with autistic children. 59. Father described Student as a well behaved, nice, good boy, who got along well with his sister, Parents, and cousins. According to Father, Student was good at math, and loved reading. Father described that Student enjoyed riding his bike, skating, public outings, and Father did not understand why Student had no maladaptive behaviors at home or in the community, but had so many in general education class. He stated that when Student tantrumed at home, the tantrums lasted only a few minutes and did not interfere with any activity, and Father did not believe that Student sometimes tantrumed for 40 minutes at school. At home, Student tantrumed when asked to engage in a non-preferred activity, when pushed hard to complete his work or asked to do extra work, and when his sister grabbed things from him. Homework was usually completed on the kitchen counter without tantrums, in the presence of his Parents and sister, and with the television on in the background. Father stated that Student was able to progress academically without any behavioral issues in a general education pre-school without an aide. Moreover, Father stated that in the 2012-2013 school year, Student never had any behavioral issues at swim school, in a class with one other child each taking turns swimming for twenty minutes. Father believed that Student progressed socially and in language in 2012-2013, but that Student could do more. He expressed that Student would become successful if he had a loving teacher that knew how to deal with autistic children to help with language and social skills. Father found Ms. Schneider to be loving and agreed with Ms. Schneider’s April 16, 2012 letter stating that Student could attend a regular class with an aide to supervise his work and facilitate social interactions. Father considered Ms. Higgins to be loving, but did not consider Ms. Roth to be loving. Father did not know whether Student felt comfortable with Ms. Roth. Father did not believe Student should be in the M/S SDC even if Ms. Roth were not the teacher. 60. Mother, not Father, communicated with Ms. Roth, in person, through e-mails, and through communications logs. He did not recall whether he ever wrote in the communications logs, but he recalled having discussions with his wife about them. He stated that while the Settlement Agreement did not require that Student’s one-to-one aide be ABA trained or certified, he did not believe Ms. Ledbetter to be qualified to be Student’s aide because she was not successful in stopping Student’s tantrums and they continued throughout the 2012-2013 school year. Father stated that Parents requested Ms. Ledbetter’s presence at all IEP team meetings, but did not recall whether they did so in writing. Father believed that Student needed an ABA trained aide and did not receive enough help to progress in 2012-2013. Father did not observe Student in either the M/S SDC or general education class at any time, and did not observe Ms. Ledbetter working with Student at any time during the 2012-2013 school year. District contends that the June 7, 2013 IEP offered Student a FAPE. In particular, District contends that the M/S SDC placement along with related SL and APE services and accommodations and modifications was the appropriate LRE for Student. Student contends that the placement and services in the June 7, 2013, IEP were inappropriate and that the appropriate placement would be the general education class with one-to-one aide support. 2. FAPE means special education and related services that are available to the child at no charge to the parent or guardian, meet state educational standards, and conform to the child’s IEP. (20 U.S.C. § 1401(9).) “Special education” is instruction specially designed to meet the unique needs of a child with a disability. (20 U.S.C. § 1401(29).) “Related services” are transportation and other developmental, corrective and supportive services as may be required to assist the child in benefiting from special education. (20 U.S.C. § 1401(26); Ed. Code, § 56363, subd. (a). 15. As an initial matter, District met its burden of demonstrating that all required procedures were followed in the development of the IEP. First, Student was properly assessed in all areas of suspected disability before the June 7, 2013 IEP team meeting. The District had no obligation to conduct formal assessments annually, only on a triennial basis, and Student’s triennial assessments were not due until 2014. Further, Ms. Mobley, a licensed education psychologist, properly administered a complete psychoeducational profile on Student with cognitive testing for young children to assess his abilities in 2011 which supported that the M/S SDC was the proper placement, with results which were consistent with Student’s 2009 assessment findings, and also consistent with the 2012-2013 school year observations and/or data taken by Ms. Higgins, Ms. Roth, Ms. Lewis, Dr. Kemp, Ms. Ledbetter and Ms. Biggerstaff that the M/S SDC was the proper placement for Student in the 2013-2014 school year. Student’s contention that the triennial assessments conducted in 2011 needed to be updated before a FAPE offer could be made was unsupported. The 2012-2013 school year observations of Student by District personnel, and Student’s records were consistent with the 2011 assessment results. Therefore, the IEP team had all of the information it needed to make a FAPE offer, and updating assessments were not necessary. 16. Specifically, as to Student’s SL needs, Ms. Lewis’ opinions and recommendations were based on detailed notes and data taken from the diagnostic one-to-one sessions she had with Student once a week throughout the 2012-2013 school year, and her observations of Student’s behaviors and abilities in the general education class. As to Student’s APE needs, Ms. Biggerstaffs’ opinions and recommendations were based on working with and observing Student in her APE class of four students, with varying numbers of other individuals present, twice a week for the 2012-2013 school year. Likewise, Ms. Higgins, Ms. Roth, Ms. Ledbetter and Dr. Kemp all based their opinions and recommendations on daily interactions and/or observations with Student, data collection, and handling Student’s tantrums in both the general education class and the M/S SDC throughout the 2012-2013 school year. The testimony of all of these witnesses was persuasive given their credentials, years of experience, time spent observing Student in both the general education class and in the M/S SDC, the corroboration of their impressions, and the depth of data analysis on Student before arriving at their conclusions. District’s testimony and assessment results were not contradicted by any other witness with expertise in any of Student’s areas of deficits. 17. Student contended the IEP was not properly developed because a FAA should have been conducted. However, the evidence showed Parent did not consent to the administration of an FAA, and intended to wait until the expiration of the Settlement Agreement before consenting, despite the fact that the Settlement Agreement required an IEP team meeting to be conducted prior to June 20, 2013. Moreover, despite not having conducted an FAA , as discussed above, District had sufficient information about Student’s behavior needs and the appropriateness of various placement options based on observations of Student during the 2012-2013 school year. 18. Student also contended that District did not have an accurate assessment of Student’s abilities in general education in the 2012-2013 school year because Student’s aide, Ms. Ledbetter, did not have sufficient ABA training. This contention was unpersuasive given that Ms. Roth, Ms. Lewis, and Dr. Kemp, all of whom were ABA trained, tried all appropriate strategies for the general education class, but were unsuccessful in calming Student. Further, Ms. Lewis opined that Ms. Ledbetter was ineffective in applying the same ABA strategies which had worked in the M/S SDC because Student associated Ms. Ledbetter with the uncomfortable environment of the general education class. The general education class was inappropriate for Student, therefore, none of the behavioral strategies worked. 19. District also met its burden of showing that the IEP team meeting itself was conducted in procedural compliance with the IDEA. In compliance with the Settlement Agreement to hold an IEP on or before June 20, 2013, and the IDEA requirement of written notice to the parents, District properly provided written notice of the June 7, 2013 IEP team meeting to Parents on April 11, 2013. Student’s contention that District did not comply procedurally with the IDEA by not holding an IEP team meeting when Parents requested same on January 18, 2013 and on March 4, 2013 to discuss communication protocols was unpersuasive. Whether District failed to respond to a parental request for an IEP team meeting regarding communication protocols for the IEP in effect during the 2012-2013 school year is irrelevant to the issue raised by District in this matter, i.e., whether District was in procedural compliance when developing an IEP for the 2013-2014 school year. If Student believed he was denied a FAPE on this ground for the 2012-2013 school year, Student’s remedy would be to file his own request for a due process hearing. 20. Further, pursuant to the terms of Settlement Agreement, the District was only required to hold two IEP team meetings during the 2012-2013 school year. Ms. Mobley, Ms. Benner, and Dr. Kemp all testified persuasively that Student’s behavior had not changed since the IEP team made the October Proposal which Parents rejected. Since the Parents were set on having Student stay put pursuant to the terms of the Settlement Agreement regardless of District’s observations and recommendations, there would be no reason to hold an IEP team meeting. Parents’ request to hold an IEP meeting to discuss “communication protocols” could be, and in fact, was addressed outside of the IEP context, by way of the communication logs and a parent/teacher conference. 21. Further, all necessary personnel were in attendance at the IEP meeting. Dr. Kemp and Ms. Benner attended, either of whom could answer any question about the District’s special education programs. All personnel who assessed Student attended, including Ms. Mobley, Ms. Roth, Ms. Higgins, Ms. Lewis, and Ms. Biggerstaff, and each of them was qualified to explain their opinions and recommendations. Finally, Parents attended with their attorney, Ms. Selogie. Parents fully participated in the IEP team meeting. They had an opportunity to ask questions at the meeting and they provided input in several ways, including participating in the discussion of PLOPS and additional goals for the 2013-2014 school year, and through their attorneys’ questioning of the District members of the IEP team and expression of disagreement with District’s offer to Student. Student’s contention that the one-to-one aide, Ms. Ledbetter’s, non-attendance at the IEP was a procedural IDEA violation was also unsupported. The IDEA does not mandate the presence of one-to-one aides at IEP team meetings. The evidence did not demonstrate that Parent, either themselves, or through their attorney, requested Ms. Ledbetter’s presence. Father’s testimony to that effect was not corroborated, and given the high level of involvement of Student’s attorneys in implementing the Settlement Agreement and conducting the IEP meetings, such a request, had it been made, would have been documented either by the District, Parents or their attorneys. Further, information which Ms. Ledbetter had regarding Student was available at the IEP team meeting. 22. Likewise, the evidence showed that District met its burden of considering the appropriate LRE, and provided an explanation of the continuum of services appropriate to Student. Further, there was full parental participation in the discussion of the continuum of services appropriate to Student during the IEP team meeting. Ms. Roth, Ms. Mobley, and Dr. Kemp all found that the LRE for Student was the M/S SDC and testified persuasively that even the slightly less restrictive placement of an M/M SDC would not be appropriate for Student because of his inability to function independently, amongst other difficulties. Once the LRE that could meet the Student’s needs was identified, the team was not required to inquire into more options. (See E.F. and J.F., supra, 2013 WL 4495676 at 15; and A.D., supra, 2013 WL 1155570, at 8.) Therefore, Student’s contention that District did not comply procedurally with the IDEA by not discussing and offering every option on the continuum of programs to Student was unpersuasive. Student’s contention was also contradicted by the IEP team meeting notes which showed otherwise. Finally, since Parents attended and actively participated in the June 7, 2013 IEP team meeting with their attorney, had they been interested in discussing and exploring any other option on the continuum of programs, they had the opportunity to do so. 24. Finally, as discussed below, District met its burden of showing that the placement and services offered in the IEP were reasonably calculated to provide Student with some educational benefit in the LRE given his unique needs. (See Rowley, supra, 458 U.S. at pp. 200-204.) First, the placement offer of M/S SDC with mainstreaming during music, art, snack, lunch, recess and assemblies was appropriate. 25. Although the IDEA expresses a policy preference for inclusion to the maximum extent appropriate as an aspiration for all children with special needs, the IDEA acknowledges that the nature or severity of a particular disability may require separate instruction in order to meet the equally important need for educational benefit. (See 20 U.S.C. § 1412(a)(5)(A); Ed. Code, § 56031; 34 C.F.R. §§ 300.114 & 300.116.) The Rachel H. case from the Ninth Circuit demonstrates that the question of whether general education is appropriate requires balancing multiple factors. (See Rachel H., supra, 14 F.3d at p. 1404.) Here, applying the Rachel H. factors to the facts shows that general education class was not an appropriate placement and that the District’s offered program still met the IDEA’s aspiration of inclusion to the maximum extent appropriate. 26. The evidence showed that Student would not receive any educational benefit from full-time placement in the general education class. Although Father sincerely believed Student was capable of learning at least math and reading in the general education setting, this belief was not supported by Student’s general education class performance in the 2012-2013 school year or the 2011 psycho-educational assessments. The evidence from Student’s general education class teacher, the M/S SDC teacher who assisted in the general education class when Student tantrumed, Dr. Kemp, the principal with ABA training who also assisted in the general education class when Student tantrumed, the one-to-one aide, the SL pathologist who observed Student in general education class and consulted on Student’s education in the general education class, and the school psychologist who assessed Student, was consistent that Student was not available for learning in the general education class because the environment was too fast paced, and was uncomfortable and stressful for Student. While in the general education environment, Student was off-task and unable to transition from one activity to another without tantruming or engaging in other maladaptive behaviors. He was totally dependent on one-to-one prompting, and required constant redirection. Student’s inability to engage with the material at the level presented was demonstrated by Ms. Ledbetter having to teach Student separately from the general education class, on Student’s own schedule, with Student’s own modified curriculum, as well as by Ms. Higgins’s persuasive testimony that Student did not make any academic progress in her class. Ms. Roth, Dr. Kemp, Ms. Mobley, Ms. Lewis, Ms. Ledbetter, Ms. Benner, and Ms. Higgins convincingly concluded from their observations and working with Student that his behavior was avoidance-based. Student’s behaviors stopped when academic demands were removed, or when he was removed from the general education class, or when he was allowed to engage in a preferred activity. Frequently, Student was able to sit calmly and engaged in the M/S SDC, or in a one-to-one setting with Ms. Lewis or in Ms. Biggerstaff’s four student APE class. Similarly, Student had no maladaptive behaviors in the general education class during the spring of 2012 when he was allowed to do as he wished and did not have to participate in any academic work while the rest of the general education class proceeded with their work. Ms. Mobley’s comprehensive psychoeducational assessment demonstrated that in addition to the language deficits, Student scored low cognitively and lacked the requisite skills to access general education. Father’s testimony that Student’s tantrums were mild at home and that he did well there, in pre-school, and in his small group swim class, supported District’s placement recommendation, rather than contradicted it. All of the situations described by Father in which Student performed well were small group situations and/or placed minimal demands on him, compared to the demanding and stressful general education class. In sum, the evidence showed that Student would not benefit academically from placement in general education. 27. Similarly, as to the second Rachel H. factor, the evidence showed that Student would not receive any non-academic benefits from placement in the general education setting. Of the witnesses who had observed Student in the general education class, all testified that Student neither initiated, nor responded, to typical peer interaction without a very high level of adult intervention and prompting. As discussed above, the evidence was convincing that Student’s tantrums and maladaptive behaviors were related to avoidance of uncomfortable and overwhelming environments, including the social demands, made in the general education class. Since Father had never observed Student with typical peers in the general education class, his belief that Student should be in a general education class is unsupported and unpersuasive. 28. As to the third Rachel H. factor, District showed that Student’s effect on the teacher and general education students weighed against a general education placement. Student needed constant adult intervention to even minimally participate in class. Student’s tantrums and maladaptive behaviors had a negative impact on the other students and were very disruptive to the general education class. The testimony of Ms. Higgins, Ms. Roth, Dr. Kemp, and Ms. Ledbetter showed that the general education class students cried and were afraid of Student. One child even thanked Ms. Ledbetter for keeping the general education class safe from Student. Each time Student tantrumed, Ms. Higgins had to stop teaching the entire class to keep other students safe, and remove Student when he could not be redirected, which was often. Finally, the fourth factor, cost, was not a consideration, as no evidence was produced showing any cost difference between District’s offered program and full time placement in general education. In sum, applying Rachel H. to the facts shows that general education was not an appropriate placement. 29. Student was offered an appropriate placement with the maximum amount of inclusion in general education. (See Daniel R.R. v. State Board of Ed., supra, 874 F.2d at p. 1050.) Student was mainstreamed to the maximum extent possible by having academics in the M/S SDC with structured, small-group, instruction and classroom instructional aide support for repeated prompting. The evidence showed that inclusion in a friendship club during lunch, snack and recess, where typical peers joined Student in a reverse mainstreaming model was appropriate because Student was less overwhelmed, calmer and thus more receptive to supervised social opportunities. Evidence further supported that mainstreaming was appropriate during non-academic activities such as assemblies, six times yearly for art class, and music because they were Student’s preferred activities with few demands. Student’s unresponsiveness to all ABA strategies in the general education class convincingly showed that Student’s needs were too great to be addressed in the general education class setting at this time. 30. Further, Student was offered related services in all areas of need at an appropriate frequency and duration to assist him in accessing the curriculum in the small, structured setting of the M/S SDC and to meet his IEP goals. As to SL therapy, Ms. Lewis’ recommendations were not contradicted by anyone with expertise in SL therapy. Therefore, District met its burden. Similarly, Student was offered APE services to assist in improving his motor skills and coordination. This recommendation was also not contradicted. While Student contend that AT services were needed, it was not based on any evidence other than AT services had been offered at the August 2011 IEP. No evidence was presented that, at the time of the IEP team meeting, Student required AT. In fact, both Ms. Lewis and Ms. Roth testified persuasively that Student could not benefit from the AT and was interested in learning and using language. Therefore, AT services was not necessary to provide Student a FAPE. 31. Additionally, accommodations and modifications were offered so that Student could access the curriculum of the M/S SDC. The IEP team also recommended an OT assessment. The evidence demonstrated that these aspects of the IEP were appropriate. 33. Student’s contention that District could not file this due process action because the June 7, 2013 IEP was held and an offer for the 2013-2014 was made over parental objections of placement and services during the period where the Settlement Agreement was still in effect was unpersuasive. The Settlement Agreement provided stay put for Student up to and including June 20, 2013, which District provided to Student for the duration of the 2012-2013 school year. District also complied with the terms of the Settlement Agreement which required it to hold an IEP no later than June 7, 2013. However, the Settlement Agreement did not prevent District from making a FAPE offer to Student for the 2013-2014 school year. To hold that District was prevented from making a FAPE offer to Student for the 2013-2014 school year, a period which the Settlement Agreement did not cover, is contrary to IDEA dictates. 1. District’s June 7, 2013 IEP offered a FAPE in the LRE. 2. The District may implement the June 7, 2013 IEP without parental consent. Pursuant to California Education Code section 56507, subdivision (d), the hearing decision must indicate the extent to which each party has prevailed on each issue heard and decided. Here, the District was the prevailing party on the issue presented.